A divorce is one of the most emotionally draining times in a person’s life, and a military divorce presents a unique set of challenges that make the process even more complicated. There are both state and federal laws that govern military divorces, so certain legal challenges that are nonexistent in other divorce situations must be addressed. The Bellevue military divorce attorneys at the Law Office of Jason S. Newcombe will provide you with reliable legal counsel before you take the first step toward a new life. Soldiers on active duty cannot be held in default for failing to respond to a divorce request from their spouse. This law was written to protect personnel on active military duty, so that they have to opportunity to protect their legal rights. Military personnel may also postpone divorce proceedings while on active duty, and for 60 days after their tour of duty has been finalized. A military divorce can proceed if the person on active duty has no objection. With so many variables, it makes sense to get reliable legal information by talking to one of our Bellevue military divorce attorneys as soon as possible. The first step you should take when seeking a divorce is to get a better understanding of what to expect, and our experienced military divorce attorneys in Bellevue are ready to help. If the spouse who is active in the military is not currently living in Washington State, you may not be able to file for divorce. They must be currently stationed in Washington so that they can be served with their court summons in person, because if they're living out-of-state the court has no jurisdiction over the divorce case. Our Bellevue military divorce lawyers can help you better understand how property division may be handled in your case, including retirement and military benefits. If children are involved in your military divorce, child support will be calculated according to standard Washington State formulas. Before pursuing a Bellevue military divorce, you should get a better understanding of how the law applies to your situation. 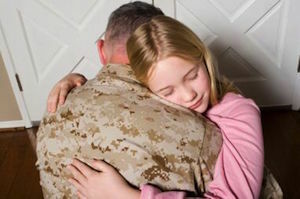 Our Bellevue military divorce lawyers offer a free consultation to anyone considering a military divorce, which is designed to offer reliable information in a private setting. Our experienced Bellevue divorce attorneys will act as your personal advocate throughout this difficult time, so contact a member of our legal team today and let us help you make informed choices regarding your future.